The Milton former MGP Site is located at 153 Filbert Street in the Borough of Milton, Northumberland County, Pennsylvania and was previously used for a Manufactured Gas Plant. 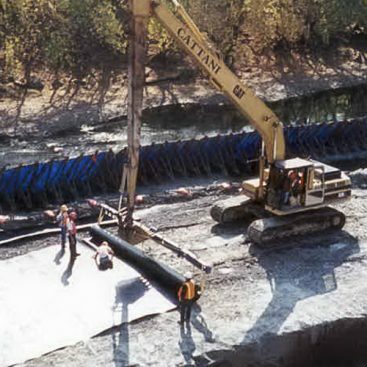 Installation of a stabilized soil matrix in an area of the site containing the potential for the presence of subgrade contamination resulting from former site uses including a manufactured gas plant operation. 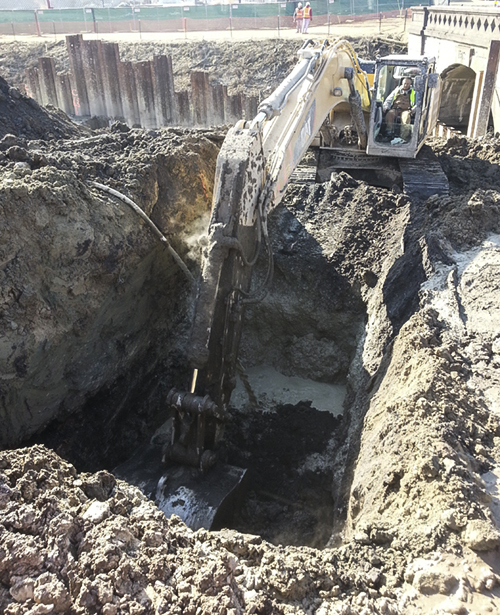 This in-situ stabilization (ISS) project included in situ treatment of approximately 3,500 cubic yards of soils at the Milton former MGP site. The ISS treatment depths ranged from 3 feet to a maximum of 20 feet below the proposed work platform elevation. 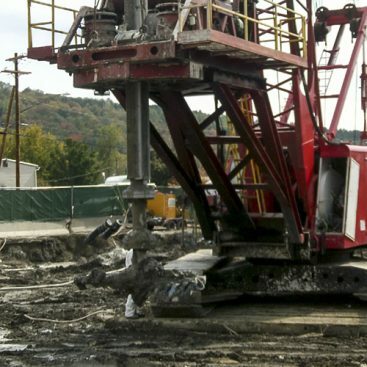 The work platform was approximately 4 feet below the existing ground surface. A slurry mixture of cement, ground granulated blast furnace slag (GGBFS), and water was mixed with the impacted soil to achieve the target solidification parameters of 75 psi unconfined compressive strength (UCS) and 1 x 10-6 cm/sec permeability. 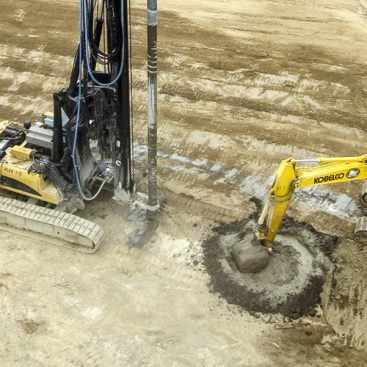 The ISS was performed utilizing a hydraulic excavator. 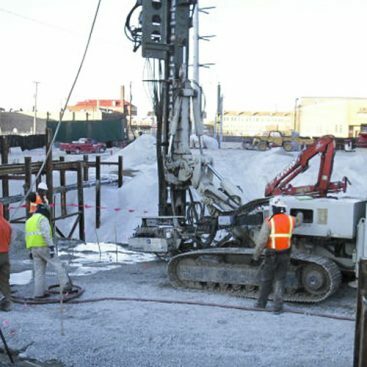 The completed project required 318 tons of Portland cement, 212 tons of slag cement, and 543 tons of reagent.